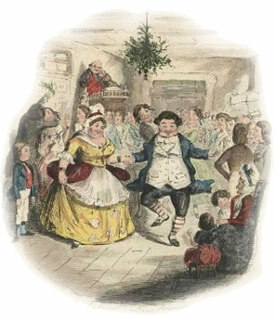 "Cambells Playhouse A Christmas Carol"
Marley may be as dead as a door-nail, but the great Charles Dickens' classic The Christmas Carol is alive and well on old time radio shows. 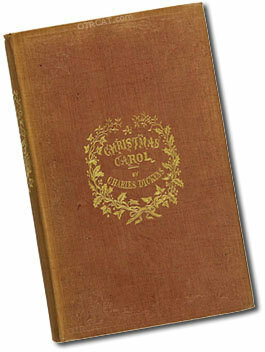 The Christmas Carol collection features different versions of the well-loved Christmas story first published December 19, 1843. There have been many dramatic adoptions of this classic tale to theatre, opera, film, radio, and television and it remains a Christmas Classic to this day. The story follows the archetypal Bah-humbug miser, Ebenezer Scrooge, in a tale of redemption after three ghosts visit him on Christmas Eve. He is so moved by these spirits that he awakens on Christmas morning now grateful and generous. Subsequently, he buys a Christmas goose and much holiday merriment ensues. The collection includes adaptations by the Lux Radio, Campbell's Playhouse, and Globe Theatre as well as more unusual off-shoots of the story such as A Korean Christmas Carol by Suspense, and Gracie's Christmas Carol from the Burns and Allen Show. Also included is the entire original text of A Christmas Carol. Be the first to comment on "Christmas Carol"